Oregon State University Press, 9780870719516, 312pp. 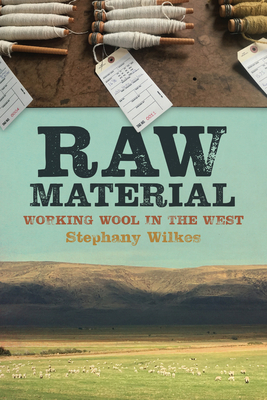 Stephany Wilkes is a sheep shearer certified by the University of California Agricultural and Natural Extension Center, a wool classer certified by the American Sheep Industry Association, and the president of the Northern California Fibershed Cooperative. Her writing has appeared in The Billfold, The Ag Mag, Hobby Farms, Midwestern Gothic, and other publications. Stephany speaks about sheep and wool terroir at numerous yarn shops, fiber festivals, schools, and events. She lives and gardens in San Francisco.